The Ultimate Guide to choosing character names, with over 25,000 first names and surnames, and their meanings. 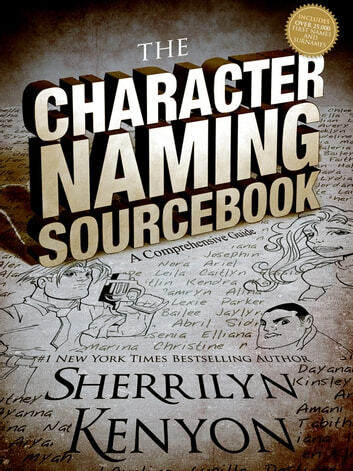 The Character Naming Sourcebook includes reverse lookup of names by their meaning, an alphabetized index of names, and an explanation of naming practices as well as context for each origin. New York Times #1 Bestselling author Sherrilyn Kenyon provides insight into creating believable names that fit your characters and story. 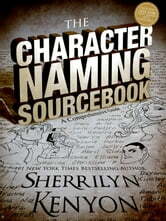 The Character Naming Sourcebook is also a great resource for baby names. About the Author: Sherrilyn Kenyon is the recipient of the prestigious Georgia College Alumni Achievement Award. She was Literary guest of honor at the 2010 national Sci-Fi and Fantasy Convention, Dragon*Con. Sherrilyn Kenyon has had seventeen #1 Bestsellers in three years in four different genres, is published in over 100 countries, and has over 30 million copies in print. 27 Fiction Writing Blunders - And How Not To Make Them! 123 Character Development Questions: A systematic way to develop phenomenal fictional characters.